The A2 Milk Company has acquired an 8.2 per cent share in New Zealand dairy processing company, Synlait. Synlait and the A2 Milk Company have a long history of working together, with Synlait suppling infant formula to the A2 Milk Company since 2010. In August 2016, the A2 Milk Company locked in a new five-year infant formula supply arrangement with Synlait. The A2 Milk Company has acquired its share in Synlait for NZ $47.9 million. Geoffrey Babidge, Managing Director of the A2 Milk Company, said the investment in Synlait builds on its existing commercial ties. “As Synlait’s preferred customer, this investment demonstrates a2MC’s commitment to supporting our major contractor and we see this as a long term holding,” Babidge said. 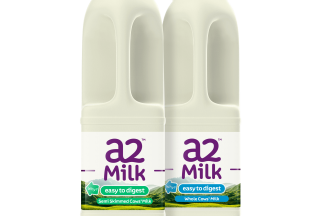 The A2 Milk Company stated it has no plans to increase its shareholding in Synlait any further and believes its current share will provide stability to Synlait’s capital structure as it grows.